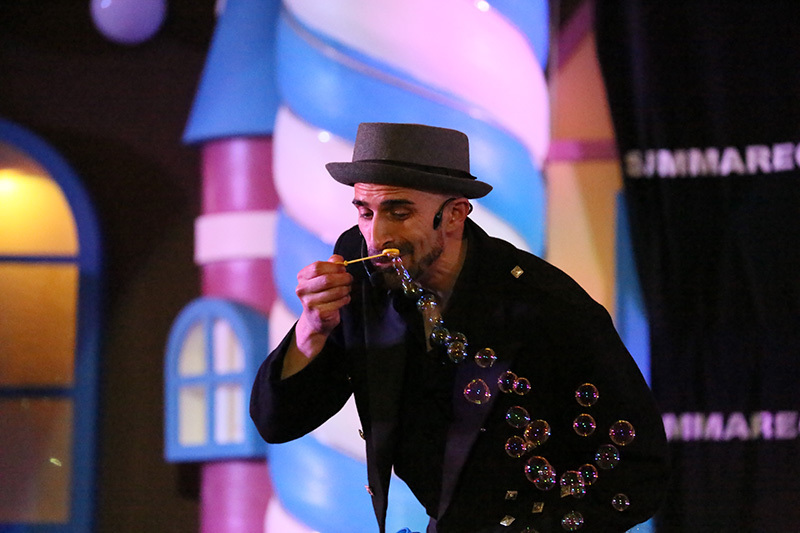 Samsam Bubbleman is the WORLD LEADER in soap bubbles! 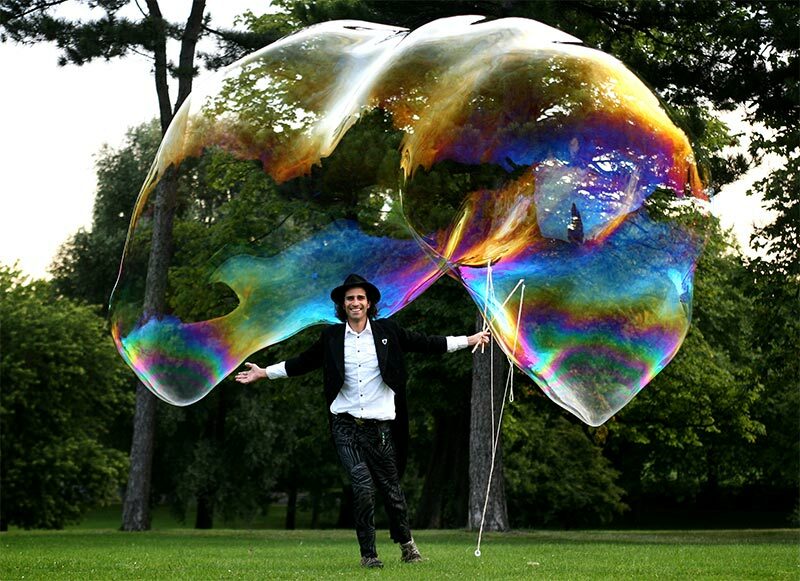 In his 25+ years since becoming an expert ‘Bubbleologist’ he has broken an incredible 10 Guinness World Records! His bubbles now take him not just all over the UK, but all over the world performing for some of the most famous brands and celebrities. His work to date has included stage shows, walkabouts, science shows, PR stunts, TV and film work, the Olympic Opening Ceremonies… you name it, he’s done it! 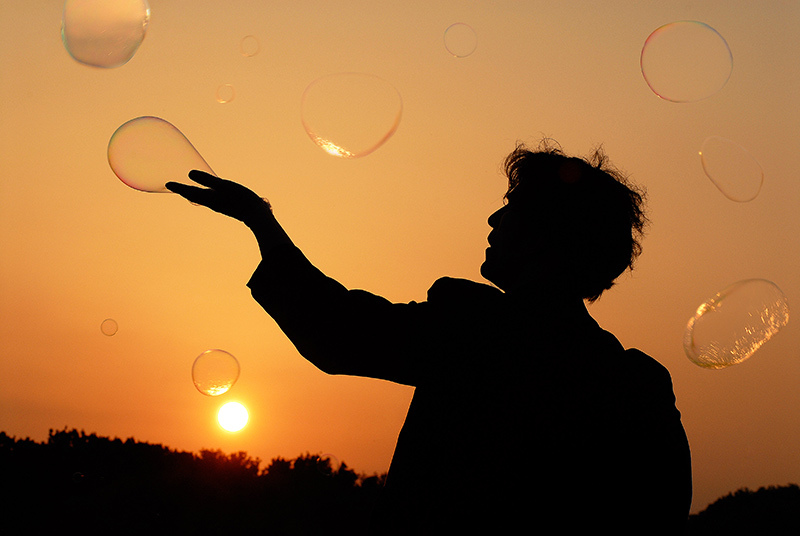 What Samsam doesn’t know about bubbles isn’t worth knowing! Create an incredible buzz amongst your audience that will leave them jubilant! His show has a history of generating massive social media attention. 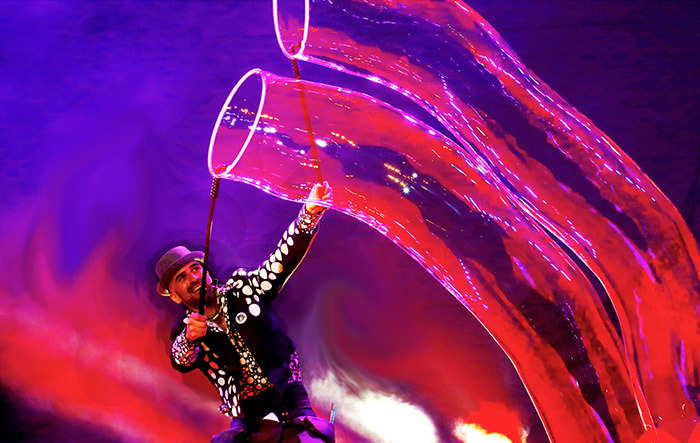 Show includes mind blowing bubble tricks, bubble vortex, fire bubbles, giant bubbles, and his signature trick – people inside GIANT bubbles. He has encased 50 people inside 1 giant bubble for the Guinness World Record. 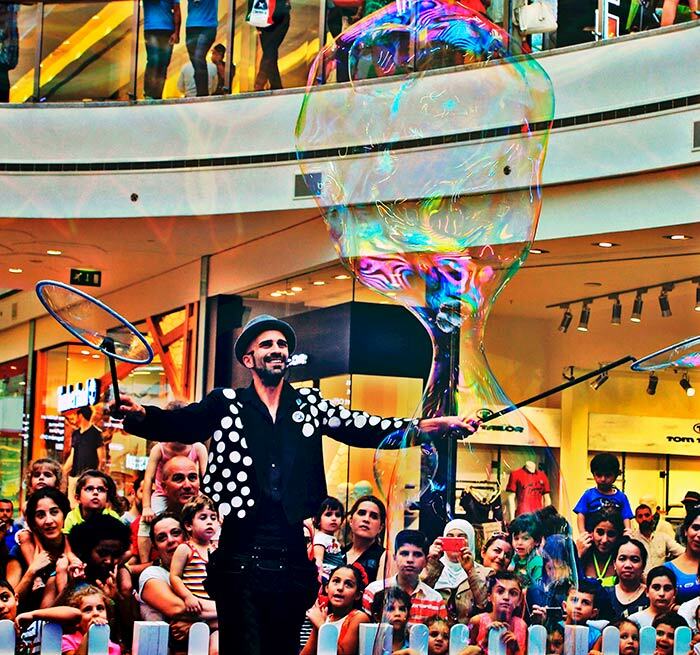 Giant bubbles, clouds of billions of bubbles, bubble interaction, bubble games and people inside giant bubbles – watch Samsam bring magic and sparkle to your event with his engaging love of bubbles. Guaranteed to leave a field of smiles. 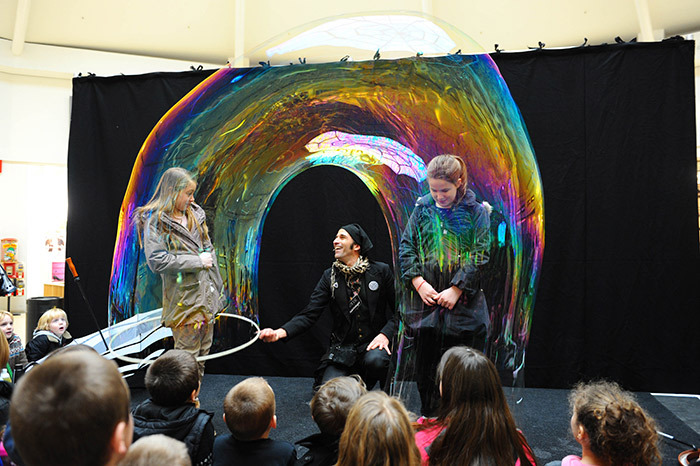 He can also create unique effects for your event including ‘EDIBLE’ bubbles in any flavour you like, and 1000’s of smoke-filled bubbles from his incredible bubble machines. I’ve never seen anybody do that! 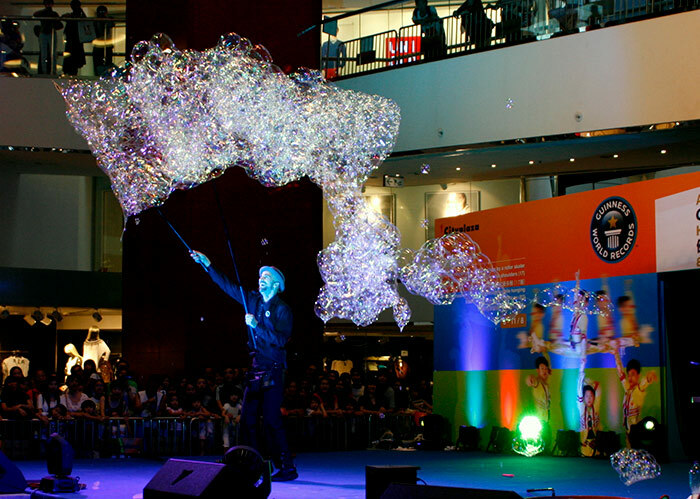 Samsam literally ‘blew’ us away with his bubbles! A personal friend of my kids and a very dapper guy! Dear Sam, Thank you so much for your contribution on our Reading Heroes Day – you really pulled in the crowds. I remember after lunch seeing some children rushing up the stairs just before your second show. I said to them that the show was about to start… “Yeah, that’s why we’re here” they said as they ran past me!! Your bubbles blew my mind. 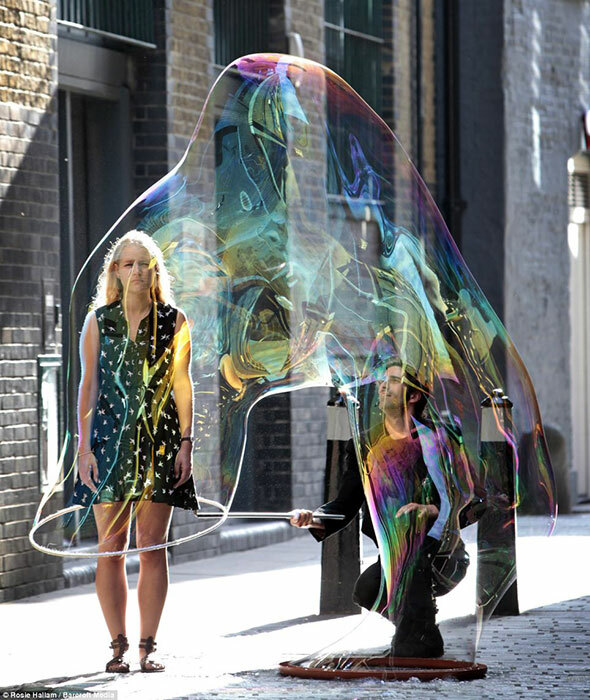 He is the Charlie and the Chocolate Factory of bubbles!…. the coolest person we’ve ever had on the show! Bubbles are the new Rock & Roll! The event went very well and the performers were AMAZING! Thank you so much. We would definitely like to use them for future events. Many thanks! Thanks for your email. The event went off well. I think William was very well received. The kids particularly liked when he started putting them in the bubble. It was lovely to watch and he was very sweet. Look forward to working with you again in the future.